Handiham Remote Base HF Stations – Page 16 – Operate from a PC or Android device, even if you have no room for antennas. You are opening the w4mq software, and you use Skype for audio. The software opens, but when connecting the audio with Skype, a Run-time error 6 occurs. The the runtime error is a known issue, and is difficult to deal with because it happens sometimes and not others. causes the connection to drop almost immediately after you first connect, but logging off and back on should produce a stable connection. 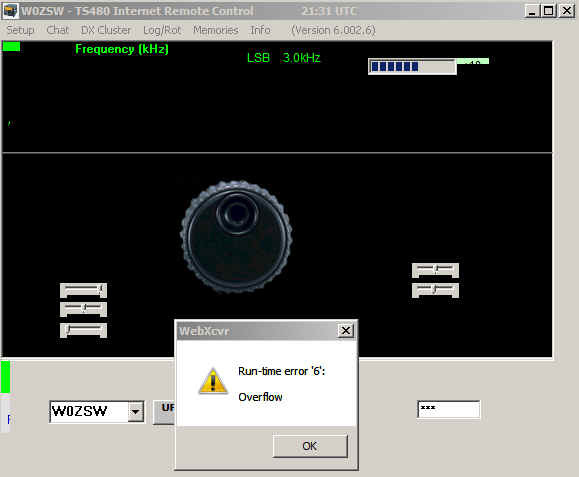 If the runtime error keeps happening, you may choose IP Sound when you set up the sound type in the W4MQ software. Ignore the IP Sound dialog box that warns you need to forward a port. You will not actually be using IP Sound, you will still really be using Skype. Once you have made this change, Skype must be connected manually. For example, if you are going to use station W0EQO, choose “Handiham Remote Base” from your Skype contact list and connect. When you log off, Skype disconnects automatically. Occasionally the station will drop the connection right after first connecting, and you may have to login again. If this happens, login again right away and there will likely be no further problem. Workaround for W0ZSW, but not W0EQO: IRB Sound is one of the sound client options from the setup pull down menu. It delivers a good option to using Skype, but only with W0ZSW. The sound with this client is reported to be choppy when used instead of Skype on W0EQO. At this time we can only recommend IRB Sound with W0ZSW if you don’t want to use Skype. This eliminates the run-time error. Optional: You may also wish to go to the Skype advanced options and see if the “Allow this program to use Skype” choice is selected for the W4MQ software. 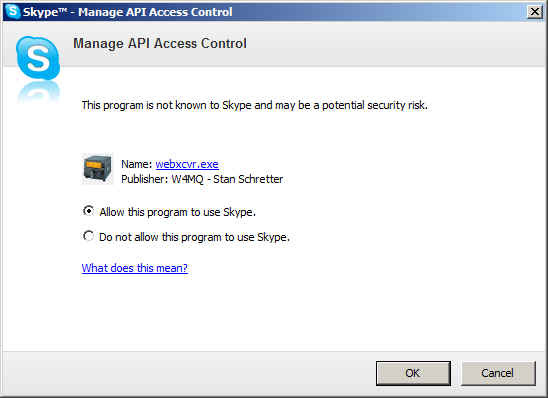 If it is, you may change your selection to “Do not allow this program to use Skype”. There are other means of controlling a remote base, but nothing that fits our needs as well as the current software, so please bear with us! W0ZSW is back on line. Repairs have been made to the antenna system. A new UPS has been installed on the computer system. 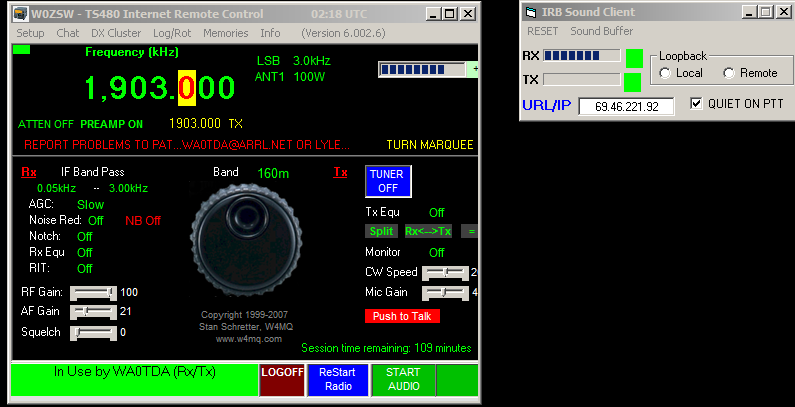 Screenshot of w4mq software showing w0zsw in use by wa0tda. 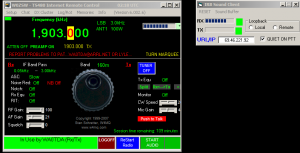 IRB sound client is also shown.